Seasonal sneezes, itchy eyes, and drippy nose getting to you? Learn all about herbal and nutritional support to help ease you through allergy season. We'll also talk about how you can minimize your allergic response, rather than just snuffing symptoms! 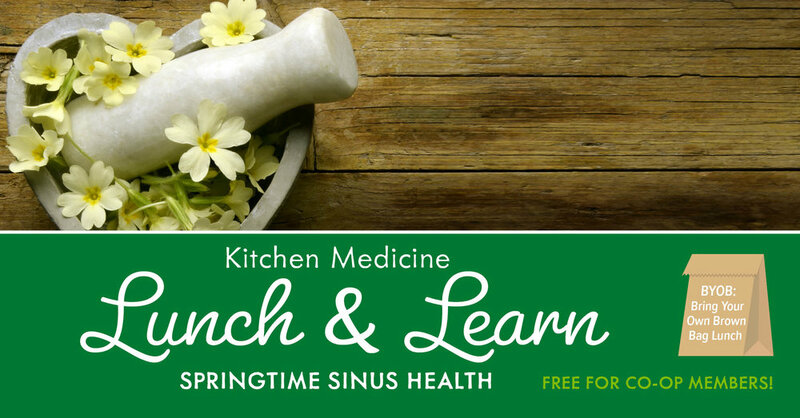 Hosted by registered clinical herbalist and wellness educator Linden de Voil, RH(AHG). Linden has a private practice at Bear Root Apothecary & Wellness Center in uptown Port Townsend, offering individual consultations and group classes on plant medicine, integrative wellness and whole-foods nutrition. To learn more and register click here!